This morning we had our dreaded anatomy midterm on the brain and the spinal cord. These past few days have been really difficult and it feels so good to have this one off the docket. Though, the double weekly physiology quiz tomorrow makes the victory less savory. It’s only 21:30 and I could probably push myself to pump out another three hours if I wanted, but I can tell that my body can’t handle that tonight. I’m quite lacking in the sleep department and at this point, I would rather risk a poor grade on tomorrow’s quiz than my health. Besides, I have a 5-hour break between my early morning biochem lecture and physio, so I should be able to get a good amount of information covered – a feat that will be a lot easier with a good night’s sleep! Since downloading the TimeSheet app last Monday (the 23rd) I’ve logged 69 hours and 35 minutes of study time. This is pure time spent studying, since I am good about pausing it and reducing the total time if I feel I wasn’t as effective. I’ve always known that we study a lot, but I don’t think I could have ever guessed just how much we study! This, in addition to our 26 hours spent in class during the week, makes for quite the heavy workload. A glimpse at my TimeSheet. I’m really enjoying the app. It keeps my accountable for the hours I spend studying and I really like that I can look back at what I have covered and how long it took me to do it. Neuroanatomy statistics for my prep for this midterm. Love being able to put numbers to it! My examiner at this morning’s midterm was a woman I had never seen before. She was young and friendly and quite responsive. Although friendly, she was particular about the answers. I noticed that if I said something slightly wrong, I had to correct myself right away for her to ignore the mistake. What made the exam so nice for me was that she gave great positive feedback for every correct answer. It really made me relax and I was able to change from “super exam defense” mode to a more ” investigation of my knowledge” mode. That is what I have for now! I’ll add anything else I remember. The exam couldn’t have taken more than five minutes, so it was pretty fast paced. Skjalg and I both had good exams and were so relieved for it! So, we made a model using paper towels and plastic wrap for the brain,modeling clay for brain base/stem structures, string for nerves, baking paper for the dura mater, plus some tape and the skull model we have. 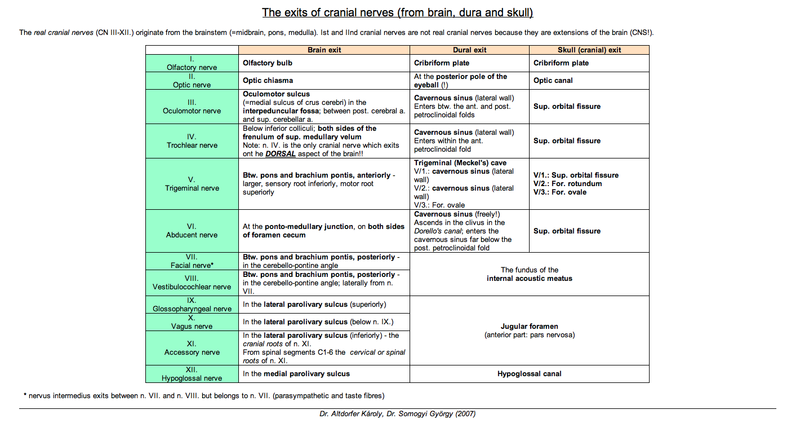 Structures we needed to know on the dorsal view of the brain stem (so the back view of the part of your brain that attaches to your spinal cord). It’s only 3 inches or so long and there are so many structures! My starbucks alias. I never get asked my name and my cup has said Nina two days in a row now. § 5 Responses to Neuroanatomy Midterm: Check! oh my gosh, you guys are so artistic! Thanks! Was nice to use a different study method for once. Haha, mmhmm!! What an easy exam with only 3 questions. Corpus callosum, thalamus and cerebral hemisphere? 😉 If only, if only. You were amazing today – as always! Good night to you too! See you bright and early for biochem? you will make it Bianca – and remember what your Roman ancestors used to say: Illegittimis non carborundum – something like don’t let the bastards grind you down – said with respect to your profs of course. I thought I would remind you of your Roman, Greek and likely Arab blood – not to mention original human DNA from Eritrea., and Viking too. You are a real mess! You are currently reading Neuroanatomy Midterm: Check! at Buda-B.